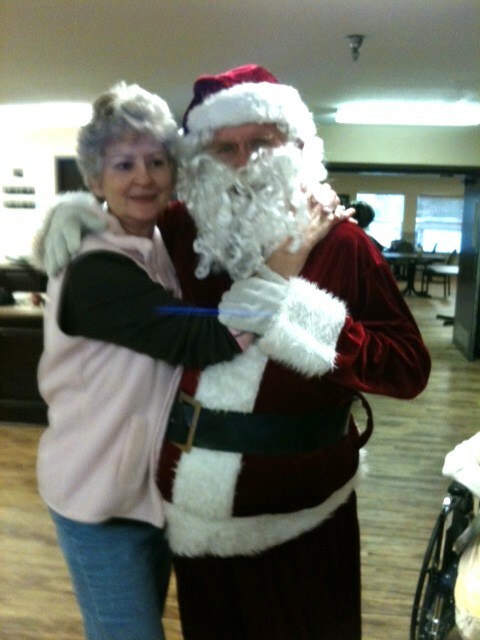 for Hemphill Care Center’s Christmas Party. 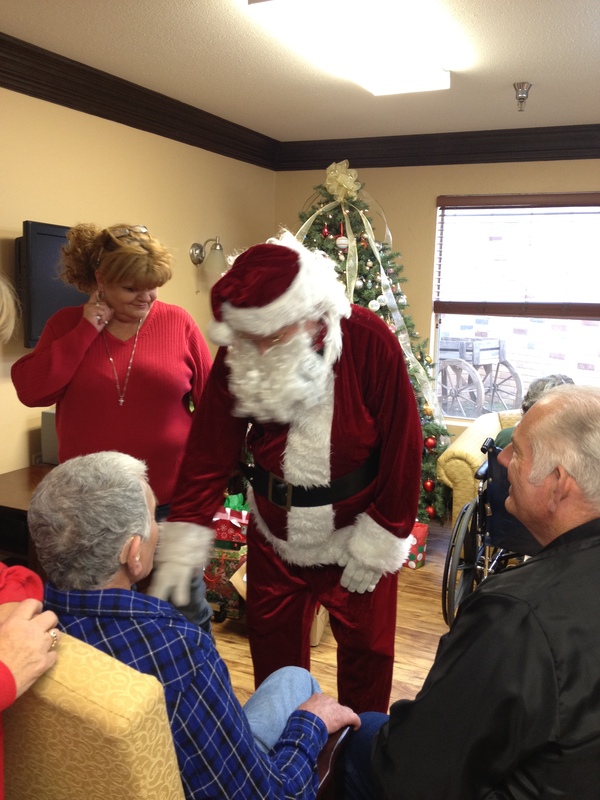 Santa got lots of hugs from visitors and residents. 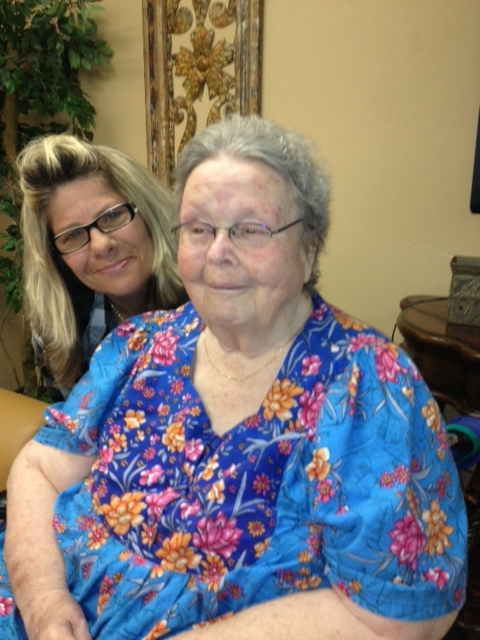 The month of April have brought joy and sorrow to the resident of Hemphill Care Center. Sunday April 1st we were blessed to have Bethel Chapel Baptist Church Choir present their Easter Cantata “Oh What A Savior”. 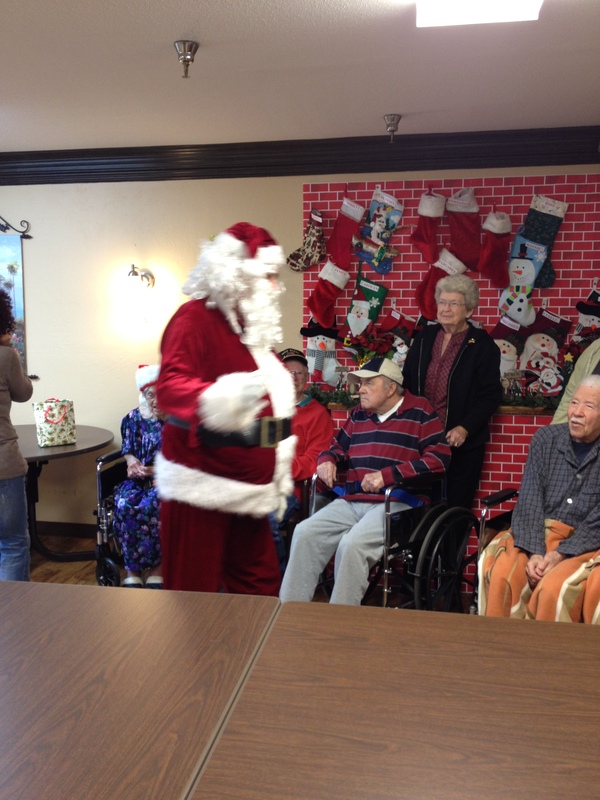 The following day we enjoyed having the Lakes Area Hospice clowns come sing with us. 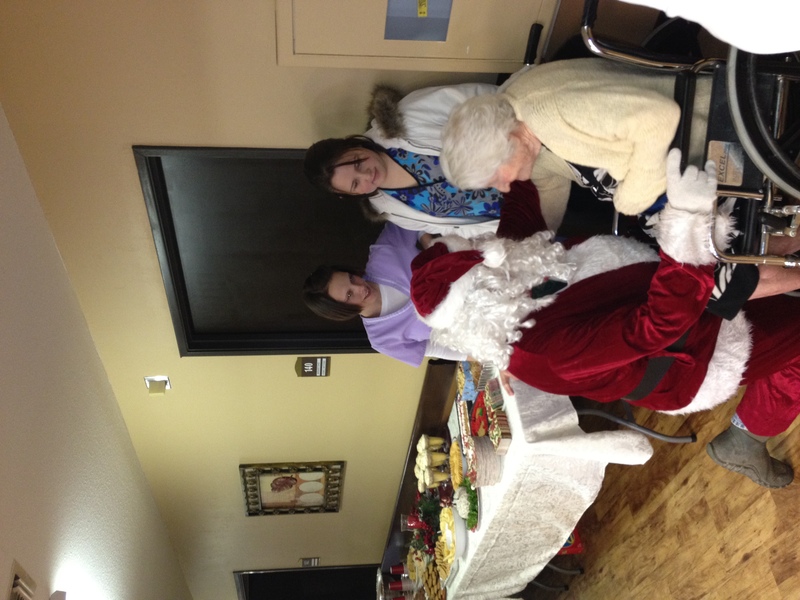 We also had fun playing bingo with our friends from Hemphill Church of Christ. Other activities during the first week of April includes, worship services with Fairdale Baptist Church, Bethel Chapel Baptist Church, Community Fellowship Church and Hemphill First Baptist Church. The rest of the week we enjoyed all of our Easter festivities. We had fun fill Easter eggs with candy and dying real eggs to hide for all the children to hunt on Good Friday afternoon during our Annual Easter Egg Hunt. The Easter Bunny made a surprise visit, which really made the children happy. We worshiped with our friends from Hemphill First Baptist Church on Easter Sunday morning, which concluded our Easter activities. During the rest of April we were blessed with services and gospel singing sponsored by: Hemphill Church of Christ, Parkway Baptist Church, Bethany Baptist church, Quincy from Odyssey Hospice and Bro. 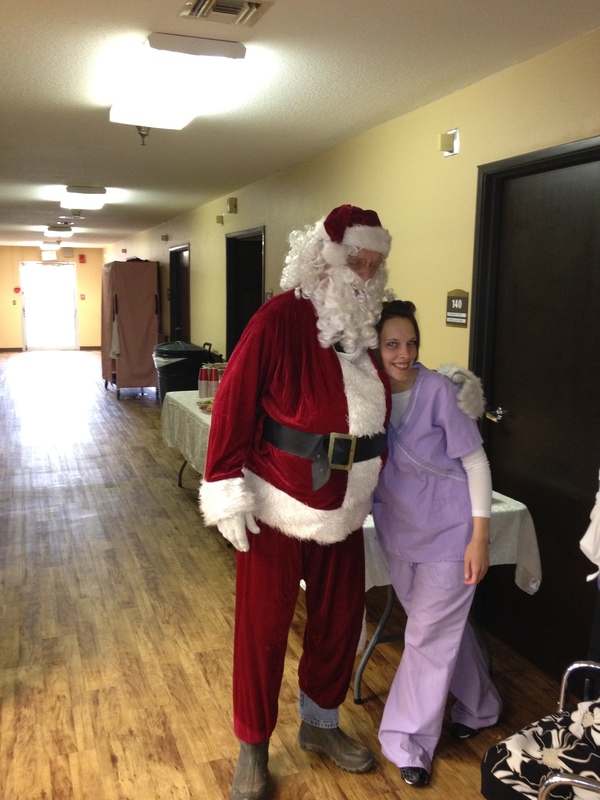 G from Heart to Heart Hospice. 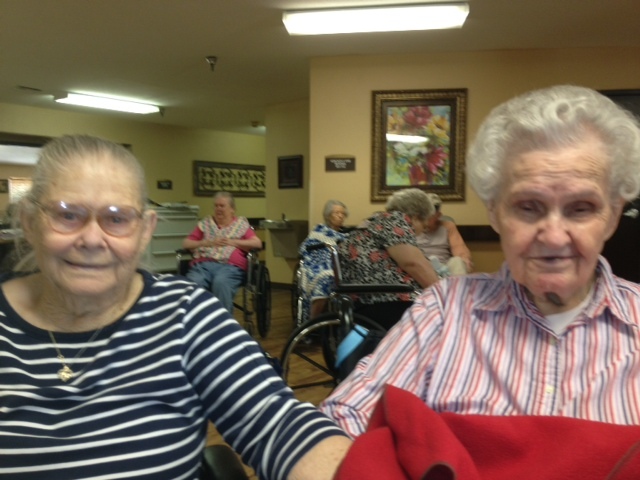 Lively bingo games were hosted by Hemphill Church of Christ, Carletta from Texas Medical Enterprises, Parkway Baptist Church, Texas Home Health and American Legion Post 197. We enjoyed visits with our friends from the Garden Club, we made beautiful topiaries for our rooms. Sandy Trahan helped us make beautiful jewelry one afternoon. We also look forward to Tuesday afternoons when we turn our dining room into a movie theater complete with soda and popcorn. We would like to thank hornet Express Video for loaning us great movies every week. Last week we watched “ War Horse”. It was thrilling and very touching. Our resident council selected Jerry Fields as our resident of the month, Carletta Cramer as our volunteer of the month and Felisha Parks and Julia White as our employees of the month. Happy Birthday wishes are expressed to: Connie White, Harrietta Selby, Mandie Odom, Patsy Hardy, Rose Sherron, Joanna Maida, Margaret Davis, Vermell Matthews, Jack Winn and Joyce Lacoste. We would like to express our love and sympathy to the family and friends of Mary King and my dear friend David Ener. 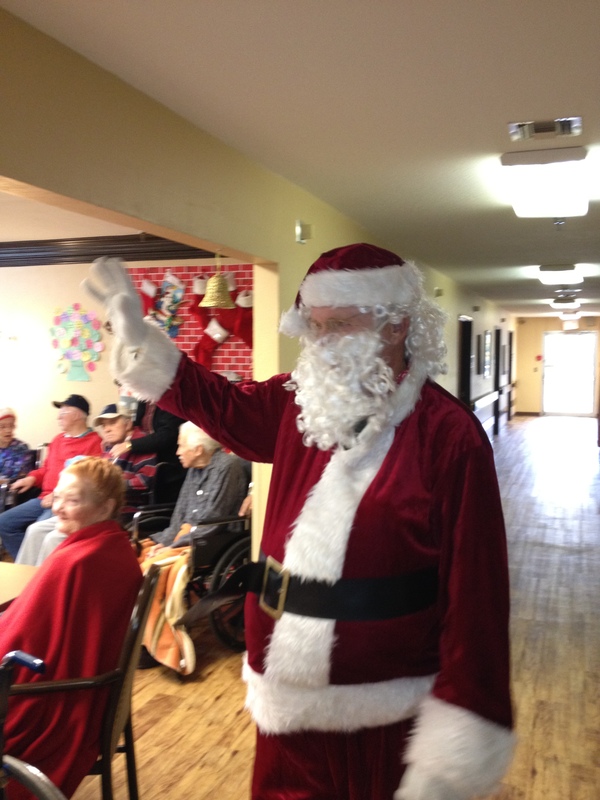 David had made the Care Center his home for the last 13 years and he will surely be missed. Monday April 16th we honored our faithful, wonderful volunteers with an appreciation party. The afternoon was enjoyed by all who attended. We are looking forward to our annual fishing trip on Friday. I will let you know who caught the biggest fish! Also C.J. the One Man Band will be here Friday afternoon. We would love it if any of our friends and family would like to come enjoy the music with us. We express our special appreciation to Rene’ Hyden who has served as our Activity Director since January 2009. She has given us many days “On the Bright Side”. 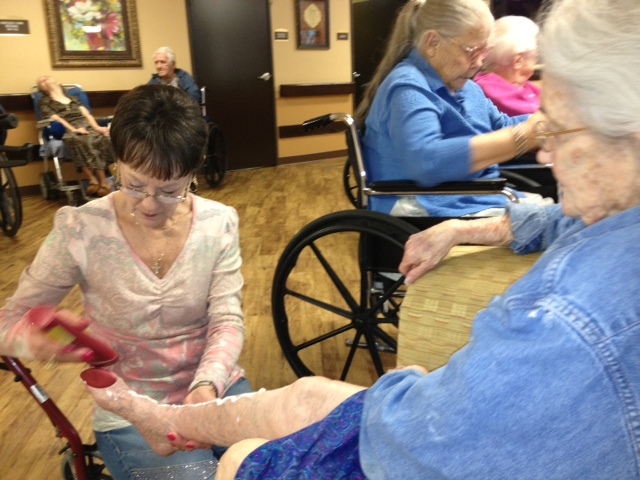 Our family (my two sisters plus Glenda and I) have volunteered to apply lotion to the Hempill Care Center residents. I do the hand massages with Glenda applying lotion to their legs, feet and face. Their skin is so dry and they really appreciate the lotion. 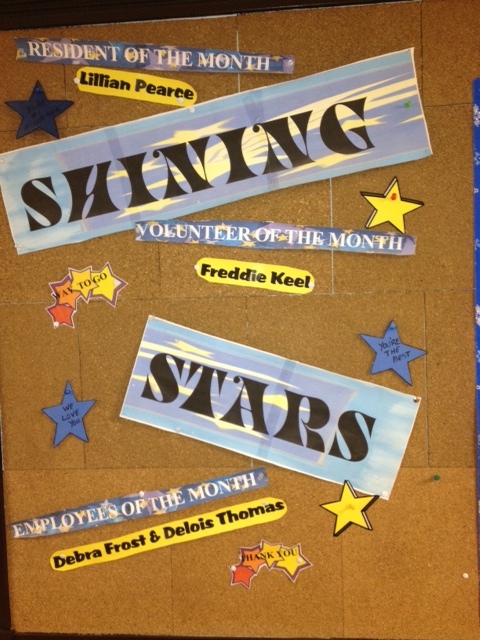 the monthly ‘stars’ are announced. that come daily to make it a better day for our love ones. 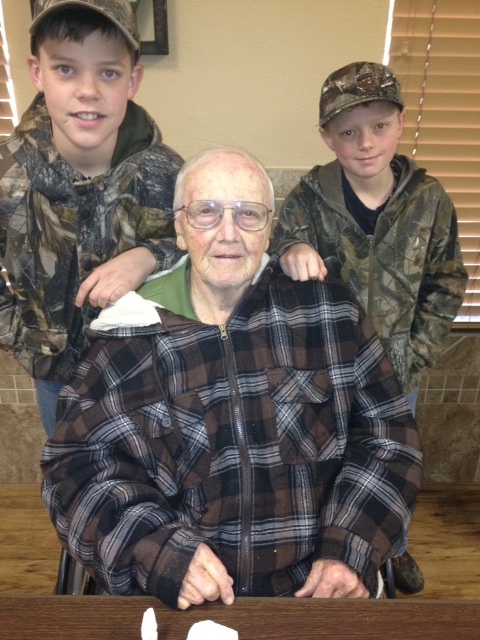 Our grand-sons stopped by Hemphill Care Center to visit with a new friend. and represented U.S.A. in the Melbourne Olympics. 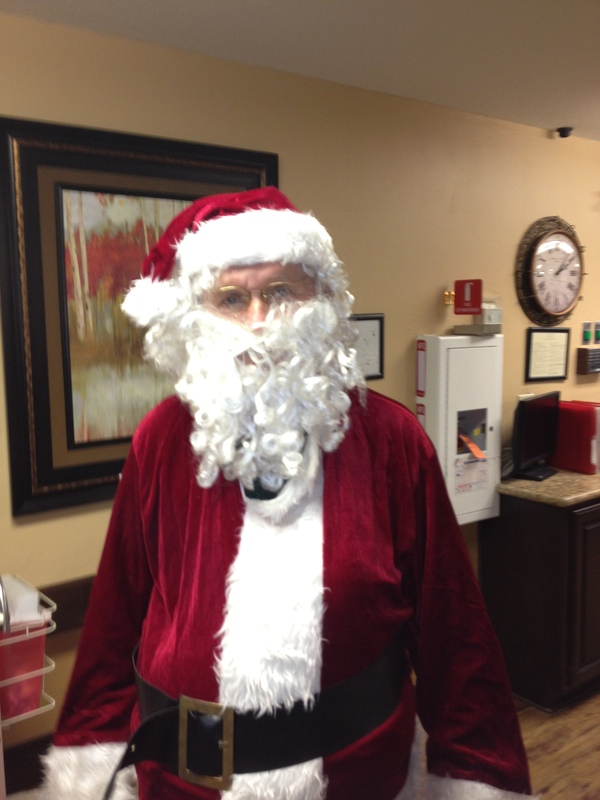 of being Santa for a Christmas Party. My first hug came from my favorite sister. Congratulations on a job well done. It looks like everyone had a good time! Thanks for taking the time to do that!!! So many shut ins are forgotten during the holidays. 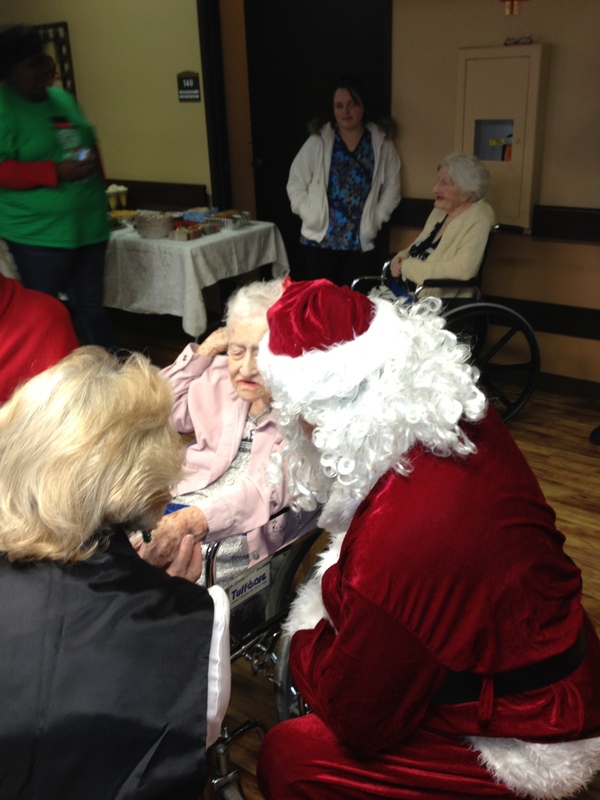 You are an inspiration to the rest of us to get involved and bring some joy to these folks.